The use of histograms in digital photography to get the best picture. 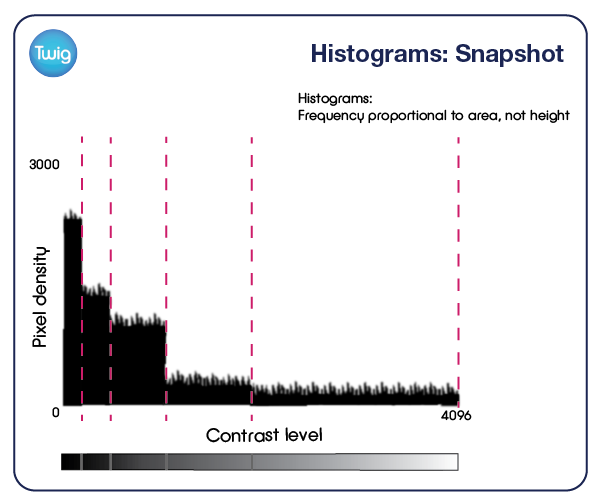 And how photographers account for the fact that histograms represent frequency density by area, not height. In photography, overexposure can ruin your picture. Or underexposure can make the shot difficult to see. 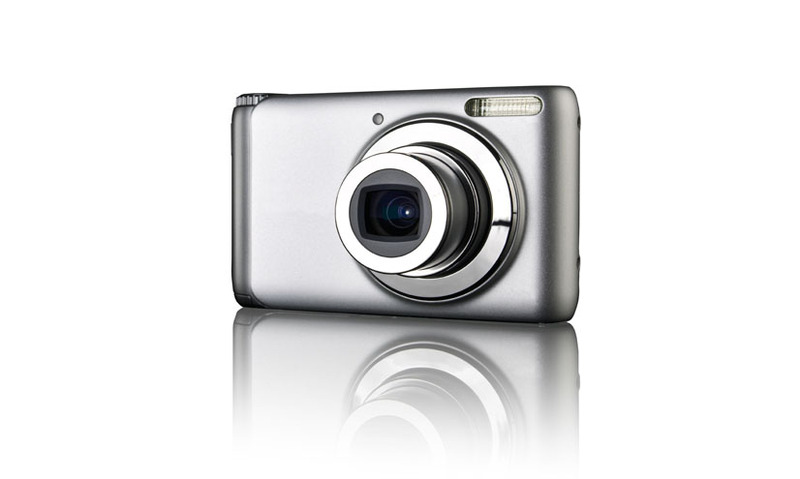 But digital cameras come with a useful device to help photographers get their shot just right – the histogram. A histogram shows the shape in which data is distributed. Histograms give a visual impression of data, at a glance. This histogram runs from dark black shadow at zero, through shades of grey, to bright white light at the end of the scale. The histogram for this picture reflects the brightness. Whereas the histogram for this picture indicates the darkness. It would be logical to assume that photographers would want their histograms to fall within the mid-ranges. But photographers don't just care about brightness. They also care about contrast. Contrast determines how much detail shows up in a picture. And the level of detail is not divided evenly from dark to light. Most detail is contained in the highlights. Much less in the shadows. Unlike bar graphs, in histograms it is the area of the bar not the height that indicates frequency. This shows what equal levels of detail look like in each bar. A small height increase in the highlights bar will result in a much greater increase in detail, even compared with a bigger height increase in the shadow bar. So photographers do something called 'exposing to the right'. They try to ensure the histogram skews slightly to the right, so that they can maximise light levels, while getting the most detail. This lets them take the best picture possible.